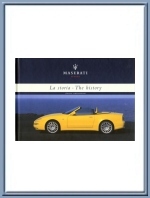 Maserati Spyder La Storia - The History book by Jurgen Lewandowski. 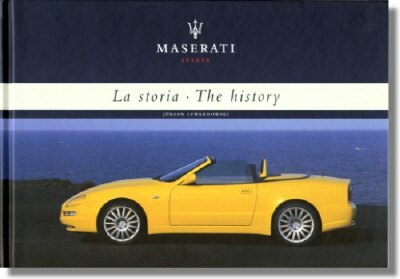 128 Page, hard cover, book detailing background and technical specifications of all the Maserati Spider models from 1931 to 2003. Maserati print# 920000574, issued in 2003.